When it comes to preparing for the arrival of our baby girl, swaddling/receiving blankets were definitely among the top ten must have list...we used them for absolutely everything with my son- swaddling, burp cloths, a lightweight blanket, nursing cover, changing area, floor play- you name it! 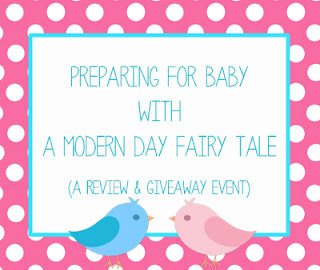 So when Aden + Anais, a company known for their wonderful swaddling blankets agreed to be part of my Preparing for Baby review event, I was beyond ecstatic to try them out!! 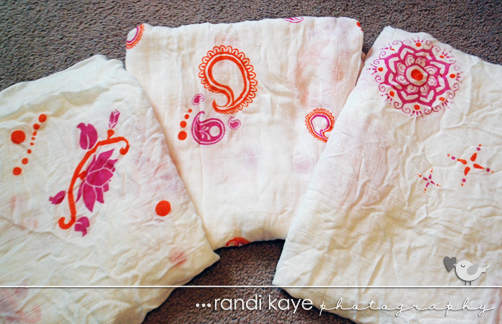 For this review, they generously sent me the pyara bamboo swaddles 3-pack, which retails for $45. How gorgeous are these prints!? I love all of their print selections, but this one was definitely among my favorites...as much as I love the cute pastel baby colors, I'm a huge fan of color as well, so I loved the bright pink and orange! But besides being super cute, what sets these swaddle blankets apart from others on the market and makes moms like myself love them so much!? First of all, they're incredible soft. All Aden + Anais swaddle blankets are made with muslin fabric- a lightweight, breathable fabric that has some stretch to allow baby to be wrapped snugly, but without the risk of being overheated. Now, I'd felt some of the classic collection swaddling blankets and knew that they were much softer than typical swaddling/receiving blankets as well...but even those don't hold a candle to the softness of the bamboo collection. Oh. My. Goodness. I would love to wrap MYSELF in one of these blankets...they are absolutely AMAZING!! The bamboo collection is much softer than the classic, and absolutely perfect for baby's delicate skin. I wish I could describe in words how wonderful these are, but all I can say is you truly have to feel them for yourself to truly understand what I'm talking about! Another thing that sets them apart is their large size. As I said, we swaddled my son all the time, but he always managed to wiggle himself out of it...especially as he got a little bigger. The blankets we had just weren't large enough! The picture above is the Aden + Anais swaddle blanket compared to a cheaper, typical size receiving blanket...it's basically double it's size! If you have a bigger baby...or just a baby who loves to wiggle a lot, that extra size will make a huge difference! It also makes it easier to use for other uses- like a nursing cover! 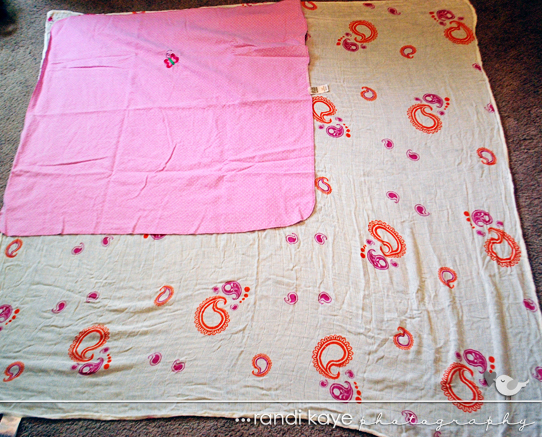 Whereas typical blankets are just too small to provide enough modesty (for myself anyway), this is the perfect size...and again, it's lightweight material makes it ideal for nursing on hot days and maintaining modesty! And when using for floor time, this larger size allows more room for baby to wiggle around!! The benefits are endless. Now, I am the first to admit that typically speaking, I tend to go with the cheaper options for pretty much anything...before feeling them myself I could not understand how someone could justify spending $45 on three swaddling blankets when I could get a cheaper brand for a fraction of the cost...but I have to tell you...it is absolutely 100% worth the extra money...and anyone who knows how I spend can tell you that coming from me that statement means A LOT! You are most definitely getting what you pay for with these. The quality is amazing, the prints are adorable...truly I have nothing negative to say for them at all. 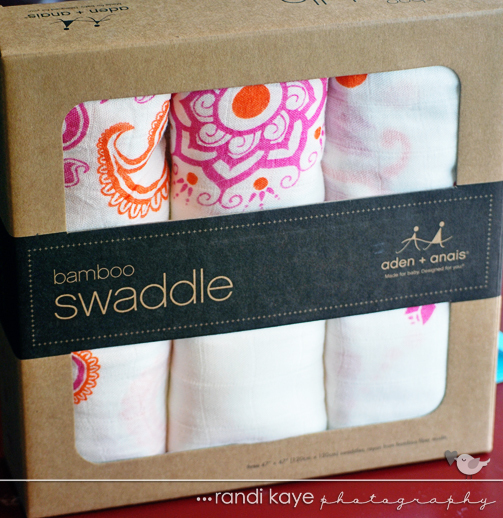 I would go as far as to say that these are a must have for every new mom- not just swaddle/receiving blankets in general, but Aden + Anais brand swaddles specifically!! So, if you're an expecting mom and haven't already- add a pack or two to your registry- you will NOT regret it!! To check out all the other great products Aden + Anais has to offer, check out their website. They may be best known for the swaddle blankets (and rightfully so), but they have a large selection of other great products too- easy swaddles, sleeping bags (wearable blankets), bibs & burp cloths, towels and wash cloths...and yes, even adult size blankets as well!! (What!?!) And don't forget to like them on Facebook and follow on Twitter as well!! Disclosure: I received the product mentioned above in exchange for my honest review. All thoughts are 100% my own. I received no monetary compensation for this post. I love these blankets for sure. My daughter loves their little issie's and I love their bibs!